This sturdy, seamless aluminum can measures 7 cm dia. The top edge is flared, and the spout is slightly angled. 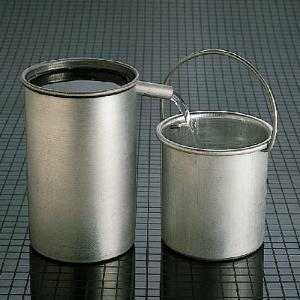 The aluminum catch bucket with a handle measures 8 cm high and 5 cm dia.